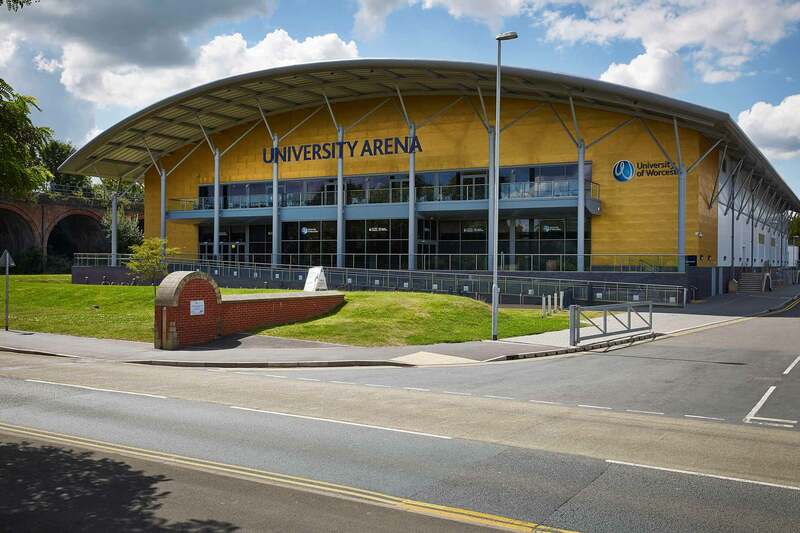 12-court arena designed to provide for a full range of indoor sports, with special emphasis on international level basketball, whilst also providing a new home ground for the 'Worcester Wolves’ Basketball Club. The c6,000m² Arena is capable of hosting major indoor sports events, with a seated capacity of 1850 people. Other facilities include treatment and first aid rooms, teaching and coaching spaces, a café, media and hospitality suites and support facilities. The facility is highly inclusive and is also designed to cater for major disability team sports, with all areas designed for independent wheelchair access.